Afternoon teas are often associated with thin cucumber sandwiches and scones. 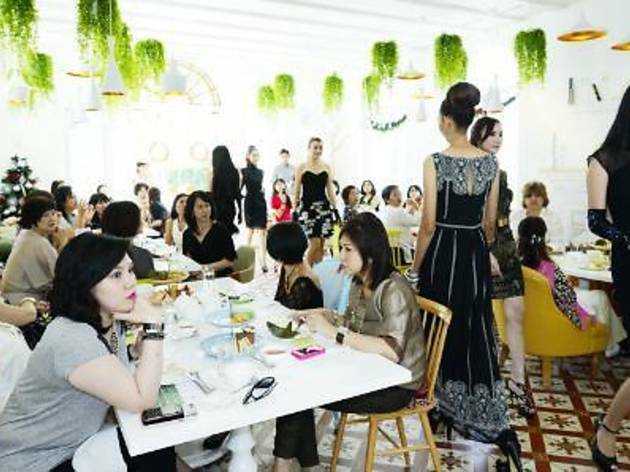 This one ups the ante with a glitzy fashion show while you savour a hi-tea selection of cakes, kuih ketayap, curry puffs, finger sandwiches and cookies along with a warm TWG tea. This fashion show will feature creations by designer Randy Goh and sparkling jewellery by jeweller Amee Philips.